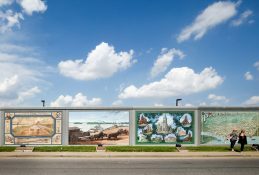 New Iberia is a slice of Creole and Cajun country tinged with Spanish and French influences and accents that ring like musical notes from an accordion belting out Zydeco. 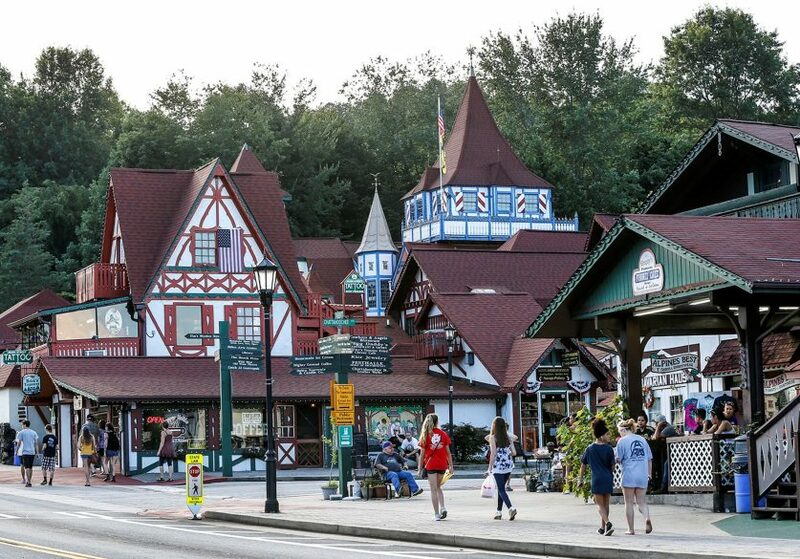 It is a town of people who respect their heritage and find ample opportunity to celebrate it year round. 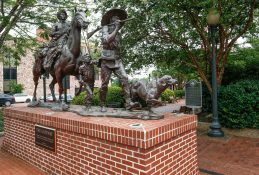 New Iberia was founded in 1779 along the banks of the Bayou Teche by Francisco Bouligny and 60 settlers from Malaga, Spain. The land was later settled by Acadians – French immigrants (later called Cajuns) who were exiled by British troops from Nova Scotia and eventually landed in southern Louisiana as refugees. This unique melting pot of cultures gives rise to delightful people and spirited cuisine. 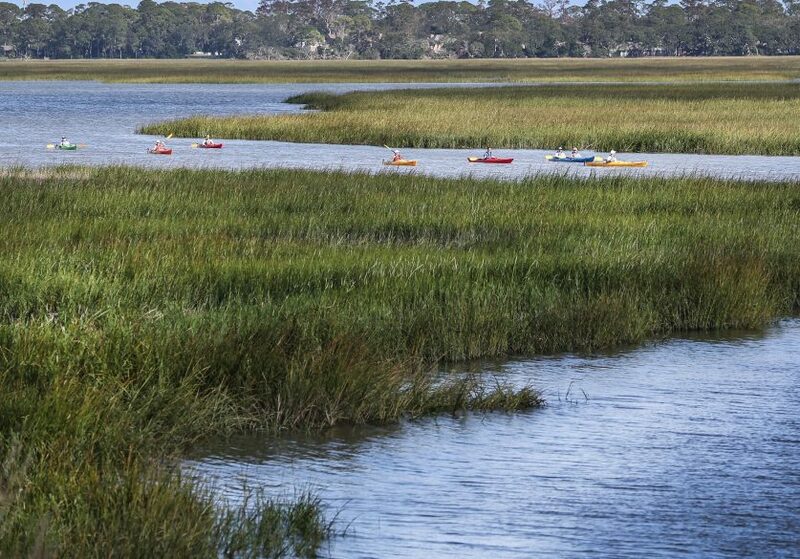 Even the land is intriguing, from its sea level salt marshes ripe with crab, fish and shrimp, to the murky bayous brimming with crawfish and gators. 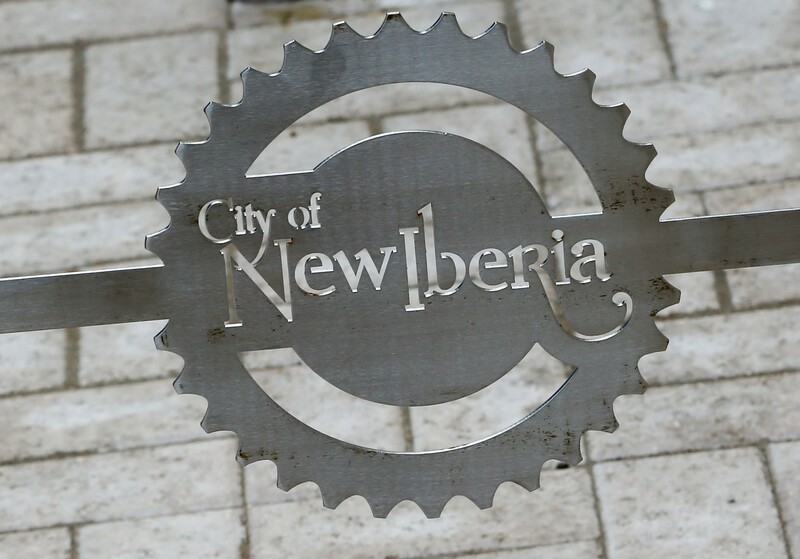 Located two hours west of New Orleans, New Iberia is home to about 30,000 people who celebrate their heritage through numerous events, like the Bayou Mardi Gras Association Parade; the Louisiana Sugar Cane Festival; the World Championship Gumbo Cookoff; and the El Festival Español de Nueva Iberia, or Spanish Festival of New Iberia. According to local lore, businessman Edmund McIlhenny was an avid gardener and lover of food who around 1868 was given pods of Capsicum frutescens peppers from a traveler who was visiting from Central America. The traveler told Edmund to flavor his food with the seeds. Edmund became so tickled by the zing they offered that he planted some on his property on Avery Island in New Iberia. The seeds took root, and from those peppers he created a pepper sauce he called Tabasco. The Tabasco Museum on the grounds of the Tabasco factory draws visitors from around the world. 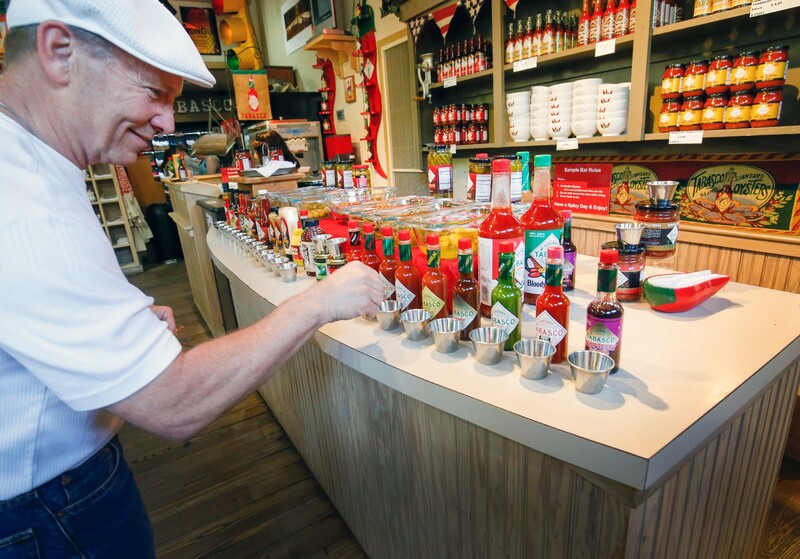 Inside the Tabasco Country Store, Rickey Reynolds samples some spicy product. But that is just speculation. If you want to know the real history of Tabasco and the man who invented it 150 years ago, talk to Shane K. Bernard. He was hired by McIlhenny Company 25 years ago to record a history of the family and its world famous hot sauce for the 125th anniversary of Tabasco. It was a challenging job at first. The only information Shane was given were a few scraps of paper packed in some desk drawers marked “archives.” “And what was in them wasn’t organized or inventoried,” he recalls. 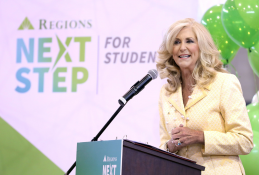 The notebooks were filled with meticulous notes about a variety of topics from planting, picking and vegetable gardening to financials, outgoing mail synopses, and the weather. Tucked away in all those notebooks were also personal and business correspondence, photographs and negatives, maps, blueprints, diaries, field notes, and inscribed books that covered Avery Island and the family properties elsewhere. The Tabasco factory is the No. 1 tourist destination in New Iberia. 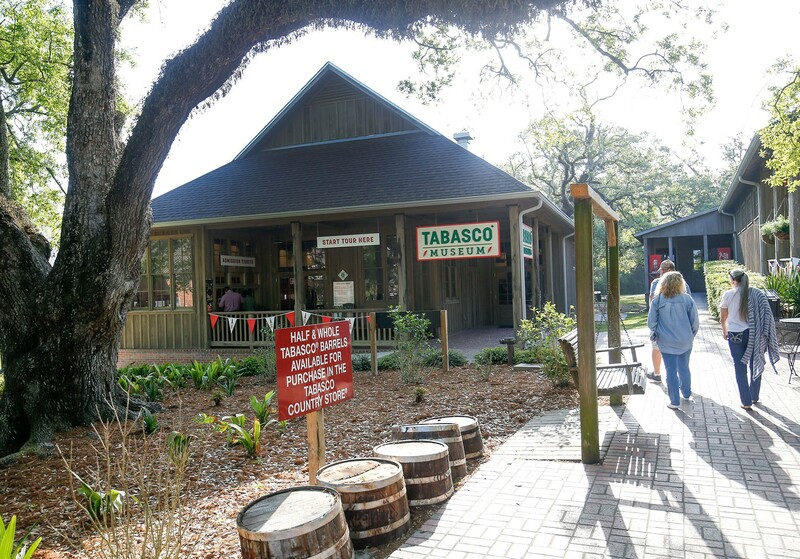 It sits in an area of called Avery Island, along with the Tabasco Museum, Tabasco Restaurant, and Tabasco Country Store. The factory is open for tours where visitors can see the Capsicum frutescens pepper seedlings growing in the greenhouse, smell the pungent mash in the warehouse where it is left to age in white oak barrels for three years, and watch as the aged mash is mixed, stirred, strained and poured into the familiar, slim bottles. 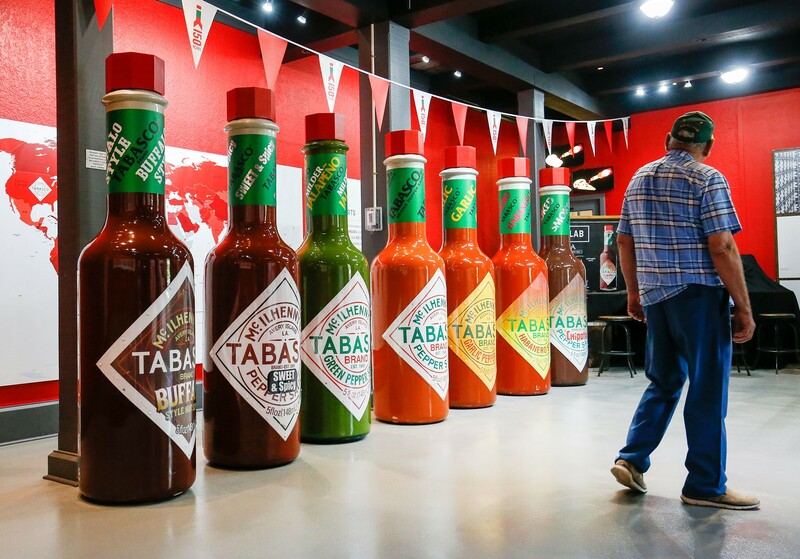 Visitors encounter giant bottles of Tabasco during the plant tour while stocked merchandise flies off the shelves. The Tabasco Museum showcases much of what Shane has collected from the family and other sources through the years, including a saddle, uniform, and insignias belonging to John Avery McIlhenny, who served with Theodore Roosevelt’s Rough Riders; a Tabasco-themed guitar signed by former Van Halen bass guitarist Michael Anthony; and an unusual collection of Tabasco-themed Pop Culture memorabilia. 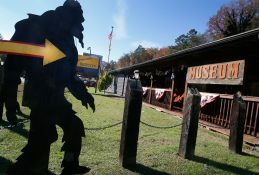 The Country Store sells a variety of Tabasco novelty items as well as the book Shane penned, Tabasco: An Illustrated History. In all this time, Shane has learned a wealth of information about Tabasco and the family that has run McIlhenny Company for 15 decades. But what he doesn’t know – regardless of what local lore claims – is where Edmund got his peppers, how he came up with the idea for the sauce, or how he developed the recipe. 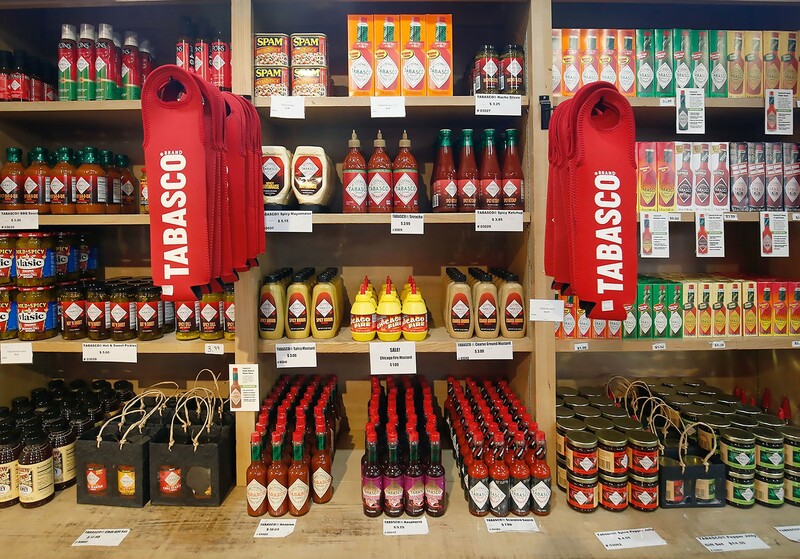 Tabasco is made in an area of New Iberia called Avery Island, which is not so much a traditional island as it is a 2,200-acre patch of land surrounded on all sides by bayous, salt marshes and swampland. In 1818, it was a sugar plantation called Petite Anse Island, operated by John Craig Marsh. In 1837, John’s daughter, Sarah Craig Marsh, married Daniel Dudley Avery. Daniel became the sole owner of his in-law’s sugar plantation in 1849, and sometime thereafter the area was renamed Avery Island. Just before the Civil War, Daniel and Sarah’s daughter, Mary Eliza Avery, married American businessman Edmund McIlhenny, which is how Tabasco found its birthplace on the island. 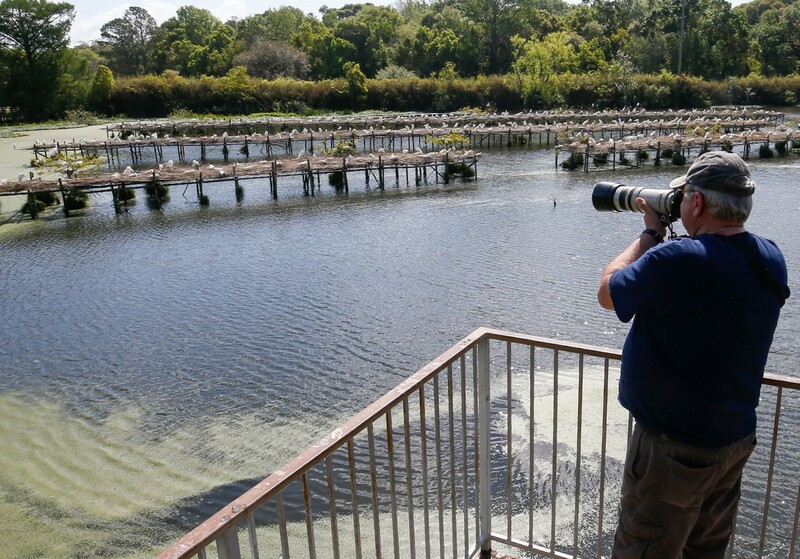 A snowy egret takes flight at the Avery Island sanctuary, Bird City, while a visitor takes keepsake photos. During the Civil War, the Avery family discovered something unusual about the land their sugar plantation sat upon. Just below the island’s surface was extremely pure solid rock salt. The family had the wherewithal to mine this precious commodity, providing much of the Confederacy with salt. It continues to be mined today but mostly used as road salt in the North. The salt beneath Avery Island is actually a huge salt dome, an upwelling of ancient salt deposits beneath the Mississippi River Delta. There are five such salt domes along the Louisiana Gulf Coast, including Jefferson Island, which is also located in New Iberia. Avery Island is also the home of the Jungle Gardens, a 170-acre semitropical garden that stretches along Bayou Petite Anse. The gardens were created by Edward Avery “Ned” McIlhenny, son of Tabasco inventor Edmund. Ned had a thing for nature, even establishing a nutria farm (a subaquatic, bucktoothed rodent) on the island, and – likely to everyone’s dismay – let them loose to fan out and proliferate. Ned later became president of McIlhenny Company in 1898 and served until his death 51 years later. But he never lost his fascination for nature. Through the years, Ned adorned his gardens with exotic botanicals from around the world, and in the 1920s, converted his private Avery Estate into the 170-acre Jungle Gardens. The gardens were opened to the public in 1935. Among its features is a magnificent Buddha statue, which is believed to be more than 900 years old; a spectacular bird sanctuary called Bird City, founded by Ned in 1895 to protect endangered snowy egrets; and one of the oldest timber bamboo groves in the country. Wildlife is plentiful here as well, with occasional sightings of alligators, deer, raccoons, Louisiana black bears, and, of course, nutria. Jefferson Island is another New Iberia salt mound island, and the location of the 1870-era Victorian-style Joseph Jefferson Mansion and Rip Van Winkle Gardens. 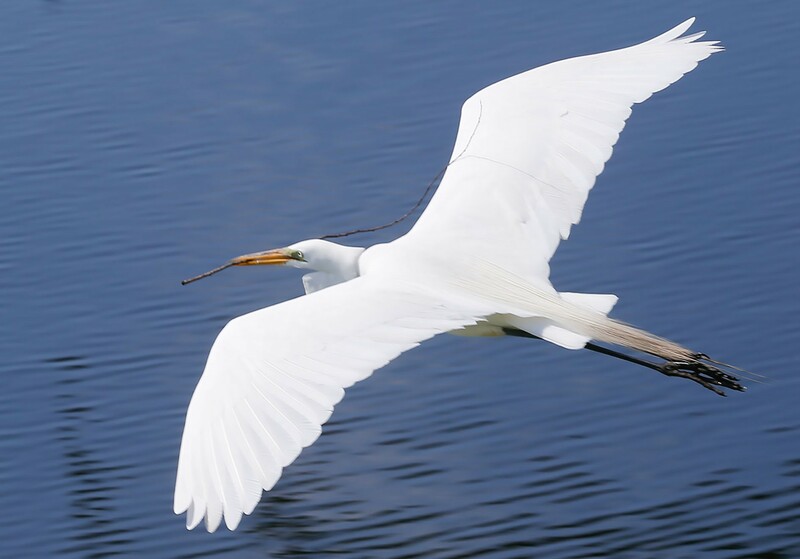 The 15-acre garden is also home to Rip’s Rookery, a sanctuary to more than 260 species of birds including the spoonbill. The property was purchased in 1917 by John “Jack” Lyle Bayless Jr., who sold the salt mine under the island and developed the gardens around the home. In the 1950s, the home and 800 acres were donated to a private operating foundation. Bayless built a home for himself on Jefferson Island on the edge of Lake Peigneur as well as a half-acre glass conservatory and welcome center for the gardens that he stuffed with more than 3,000 species of exotic tropical plants. But on Nov. 20, 1980, a Texaco drilling rig pierced one of the giant caverns within the salt dome, which flooded the entire mine. The vortex into the salt cavern swallowed the lake, 65 acres of native woodland, the Rip Van Winkle Welcome Center, the glass conservancy, and Bayless’ new home. 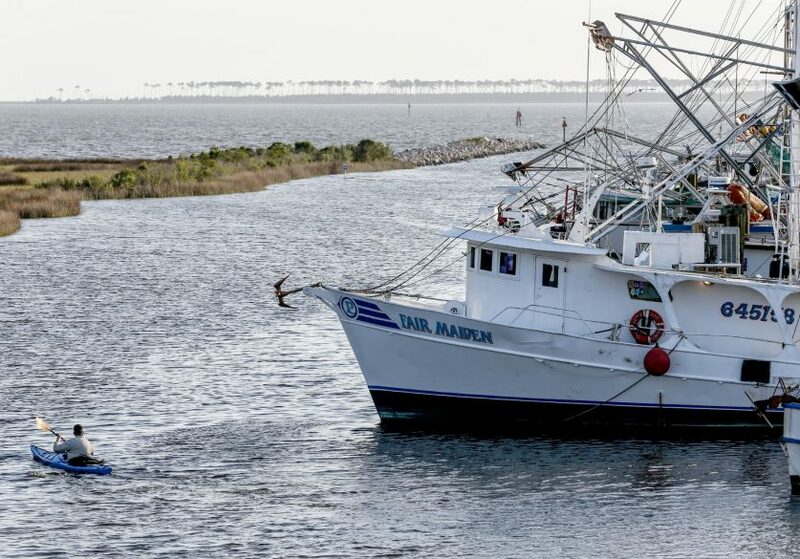 The lake was refilled naturally by the Gulf of Mexico by way of the Delcambre Canal, turning the once-10-foot-deep freshwater lake into a 1,300-foot-deep saltwater lake. It took four years to repair the damage to the island. Travel six miles southwest from downtown New Iberia along Center Street and try not to blink or you’ll miss Little Lobsters. It’s not much to look at, just a three-room wooden shack with an outdoor loading area and drive-through windows. 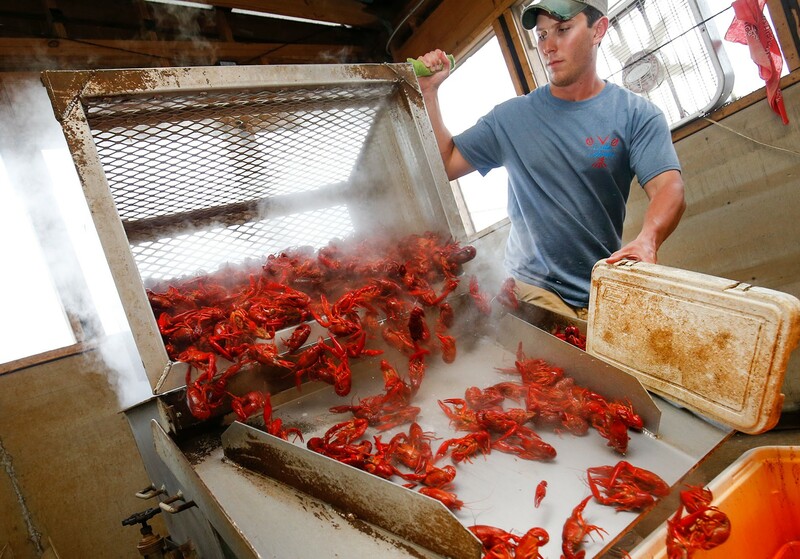 Inside, sacks of live crawfish stack knee-high just feet from an industrial-sized boiler. The smell of Cajun Swamp Dust burns the nose. “It ain’t much,” says Gregory Hensgens. He raises crawfish in his rice fields about an hour away in Crowley, Louisiana, then delivers them to Little Lobsters during crawfish season. Rice has been a mainstay of Louisiana culture for centuries because it is one of the few crops that can thrive in the wet, silty soil abundant in the lowlands here. But commodities can be a tricky business. Decades ago, south Louisiana farmers learned that the rice fields made a perfect pond for crawfish and began supplementing their rice crops – and their wallets – with the freshwater crustaceans. Gregory typically harvests rice beginning in July, then floods the fields and adds crawfish. The crawfish feast on the residual rice and algae, and reproduce. Female crawfish hatch between 400 and 900 babies at a time, and may reproduce multiple times in a season. It takes about 90 days for crawfish reach market size, at which point they are caught in traps and harvested from about November through July, depending on the weather. Supplementing the rice fields was in many ways ingenious. 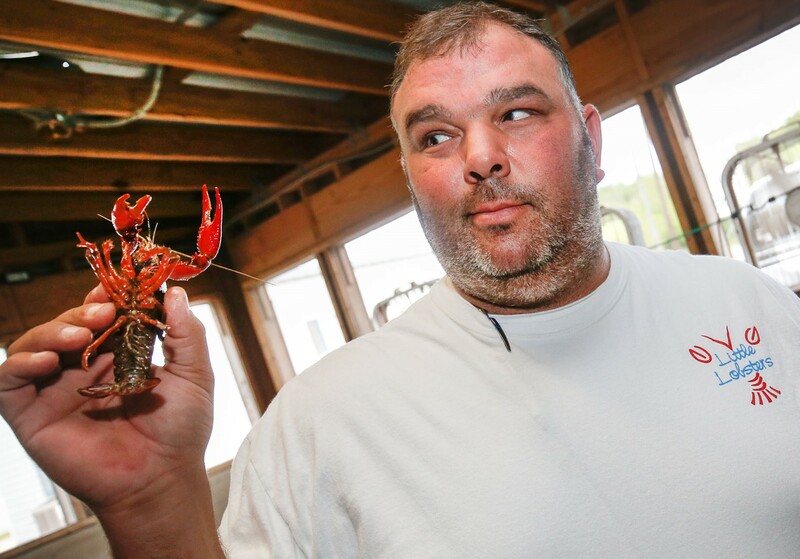 Since the price of rice dropped five years ago, crawfish has become more profitable for Gregory and other farmers. Louisiana is by far the largest producer of crawfish, making up 90 percent of the nation’s total production. Throughout crawfish season, Gregory carries sacksful of the bright red creatures to Little Lobsters to a steady stream of hungry clientele. They line up at the drive through for plates of steamed crawfish or large bags of live ones. Fridays are particularly fruitful during the second half of the season. “Because of Lent,” he says. Restaurants serving crawfish are plentiful here, as one would expect, like Jane’s Seafood & Chinese Restaurant, the Seafood Connection, Landry’s Cajun Seafood & Steakhouse (not to be confused with the chain of restaurants by the same name), and Café Bon Creole. But only a few places – like Little Lobsters – offer live crawfish. Speaking of rice, New Iberia is also home to the oldest rice mill – and rice miller – in the country. Mike Davis was 29 in 1975 when he became the youngest rice miller in the country. 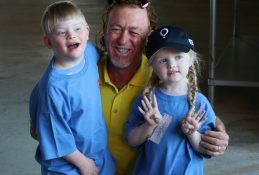 Now, 40 years later, “I’m the oldest,” he says. He is standing in the Konriko Company Store in New Iberia, surrounded by a collection of rice, T-shirts, spices and seasonings, as well as dozens of unusual rice products like gravy thickener, fish fry, and onion ring batter. He is constantly thinking of clever uses for rice, even sparing the husks for chicken feed. 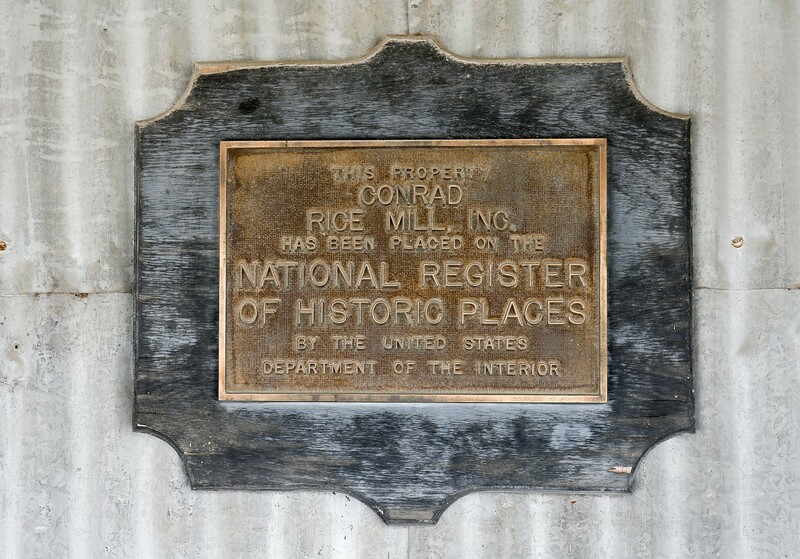 The Konriko Company Store and the Conrad Rice Mill next door are frequented by visitors to New Iberia. It’s located just a mile from downtown. Here, they can sample products, watch a video about the history of Cajun culture, and take a guided tour through the mill to see where rice is packaged and products like rice cakes are made. The mill was built in 1914, making it the oldest rice mill in America, and a rare surviving example of a factory using a belt-driven power transmission. Its original owner was P.A. Conrad, who grew and milled rice and then peddled it around town. As demand grew, he started buying grain from other growers to supplement his crop. In the 1950s, the brand Konriko was trademarked as an acronym for Conrad Rice Company. 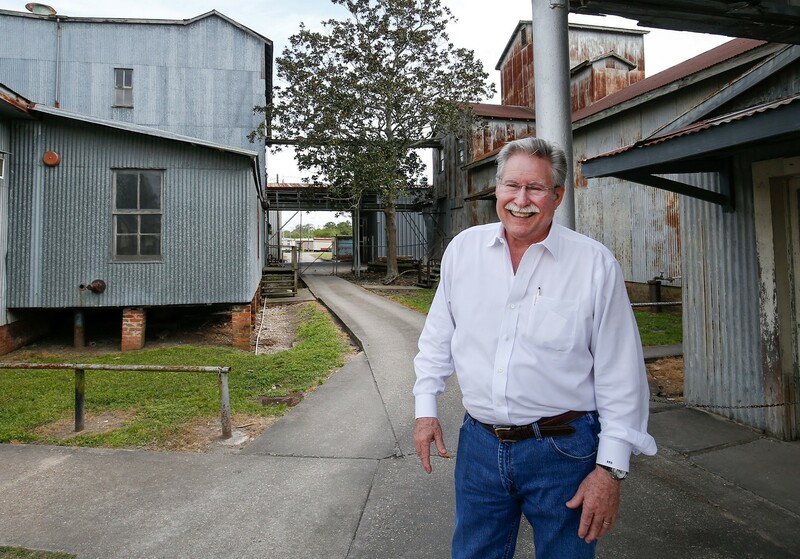 For more than 40 years, Mike Davis has been nothing but smiles at his Conrad Rice Mill thanks to steady business. P.A.’s sons eventually took over the mill but by the ‘70s, they were ready to retire. With just three local grocery stores buying their products, there was no use in them keeping the business going so they closed the mill. That’s when Mike – a former teacher and farmer – stepped in and bought the place, getting it up and running again within 10 days of purchase. He made improvements though the years and beefed up sales. The company now sells boxes of its Konriko Wild Pecan Rice and some of its specialty products to major wholesalers and chain stores across the country. Kent Dold knows what they’re after, the couple with a camera standing outside his restaurant in downtown New Iberia. There’s not a week that goes by that someone doesn’t walk up with a camera to see the old establishment. Their faces are as varied as their accents, but their questions are usually the same. An astute marketer and restaurateur, Kent introduces himself and invites them into Clementine on Main and tells them more than they want to hear. “But they love it,” he says. “I let them come in and take photos. A lot of times they don’t know the history.” If he plays his cards right, they’ll be back for dinner. In the 1930s, this 125-year-old building was turned into Provost Café and Bar. Its owner, Richard Provost, purchased a massive tiger wood and mahogany bar from a pre-prohibition establishment in Loreauville, Louisiana, and moved it by barge down the Bayou Teche to his restaurant. Provost Café operated until 1994, when it was sold and became Armand’s Restaurant. In 2003, it was purchased by Wayne Peltier and renamed Clementine’s Fine Dining and Spirits. 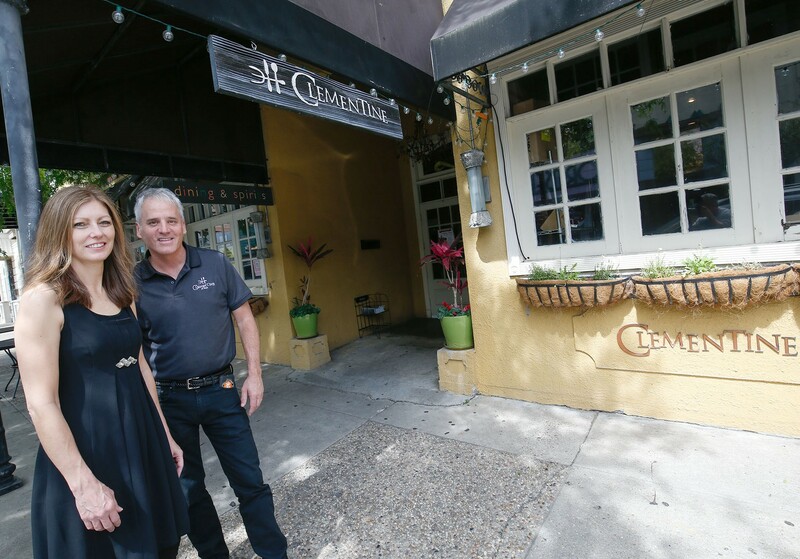 After Clementine’s closed, the space lay vacant for more than a year when Kent, his wife Jennifer, and their friend, Michael Parich, decided to purchase the building and bring black Clementine’s. Jennifer and Kent Dold brought the good times (and great cuisine) back with Clementine on Main, which doubles as a frequent stop on a unique literary tour. It was a wise decision. People travel from around the globe to sneak a peek at the iconic Clementine’s, one of the many places visited by Detective Dave Robicheaux, the fictional main character in the best-selling James Lee Burke’s mystery series. James Lee is a native of New Iberia, but lives in Montana now. His Robicheaux book series is based in New Iberia. 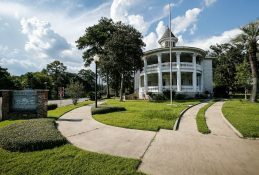 The novels speak to the charm of this town one landmark at a time, making Robicheaux the second biggest tourist draw to New Iberia behind the Tabasco Factory. James Lee’s collection of novels, including signed first editions, can be found downtown at Books Along the Teche. The bookstore’s owner, Howard Kingston, is the organizer of Books Along the Teche Literary Festival: Celebrating New Iberia, an annual springtime event that celebrates local literary talent with storytelling, workshops, readers theater, music and, of course, food. The bookstore is also one of the stops on the Trail of Detective Dave Robicheaux map, provided by the New Iberia Convention and Visitors Bureau. The map identifies 25 places in town that are mentioned in at least one of the 22 Robicheaux’s mysteries. 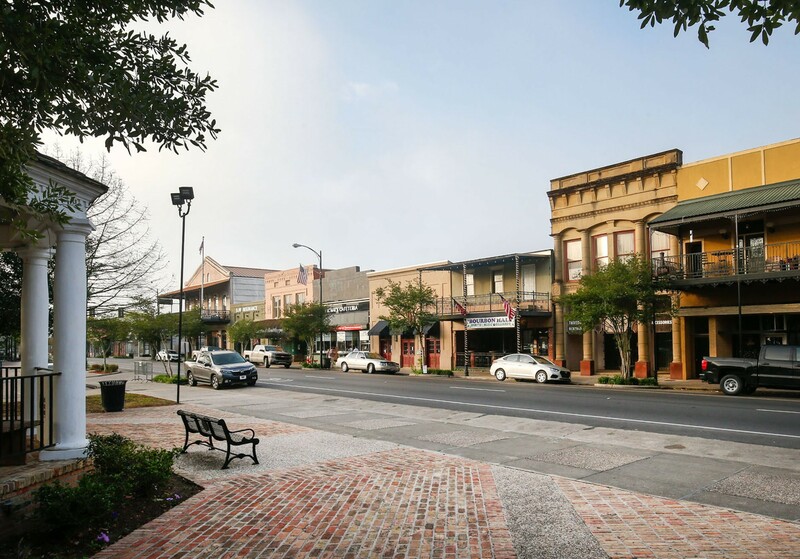 A quaint, but vibrant, scene welcomes visitors to downtown New Iberia. One such spot is Victor’s Cafeteria, a funky down-home Cajun eatery on Main Street in the downtown district. It’s Robicheaux’s favorite lunch hangout, a place he’s been known to dine with criminals. Another is Shadows-on-the-Teche, the 1834-era home of David Weeks, a sugarcane planter. 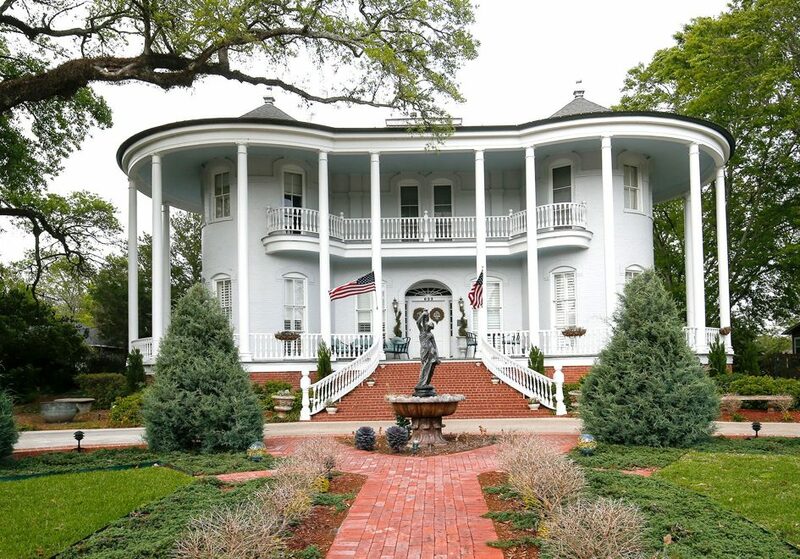 The house and gardens, observed by Robicheaux in vivid detail, sit on East Main and are open for tours and special occasion rentals. Around the corner is St. Peter’s Catholic Church, a historic building with imposing twin towers reaching for the sky. Descendants of the early Spanish settlers to New Iberia are buried in the adjacent cemetery as well as – fictionally speaking – Robicheaux’s wife Annie. And then there is Clementine’s with its elaborate wooden bar, a place Robicheaux bellied up to many a night. “The fans of James Lee Burke, they come as far as New Zealand and Quebec. Even France,” Kent says. “They know the stories and what characters were doing here. They want to sit at the bar, check out the antique phone booth. They want to reenact the scenes that took place here. I offer them a beverage and try to make them happy.